Having taken part in the inaugural Etape Loch Ness – a 67-mile closed-road cycle sportive around the loch – recently, my latest outing on the bike was a little different. 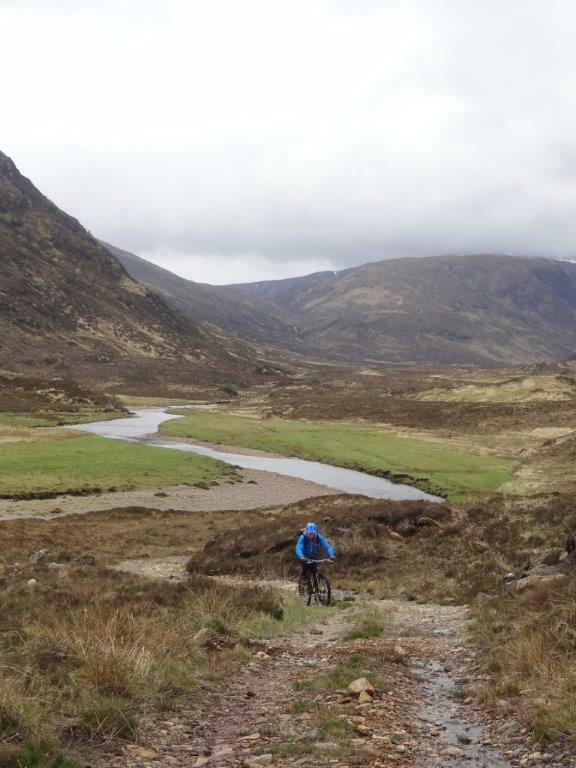 From traffic-free roads where I was pushing along at a pace, this mountain bike circuit took us into remote glens on surfaces that are rough enough to walk in places. 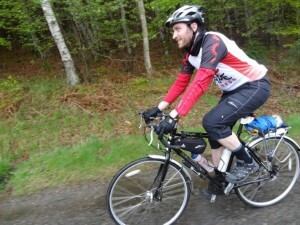 The Etape was a fantastic event, with more than 1000 cyclists completing the course and many eager to return next year. 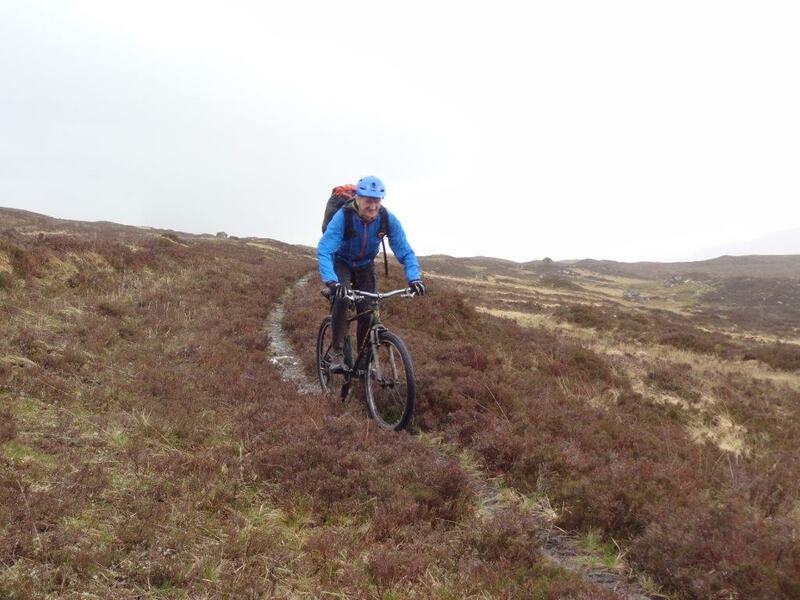 I took my time on the way around – having just been given the all clear from the doctor after a lung infection – so my brother Iain and I pedalled along together, chatting and absorbing the atmosphere. We spoke to people who had travelled miles to take part in this inspiring challenge, drawn to the area by the chance to ride down Loch Ness on closed roads and push themselves to the limit on the Glendoe climb. 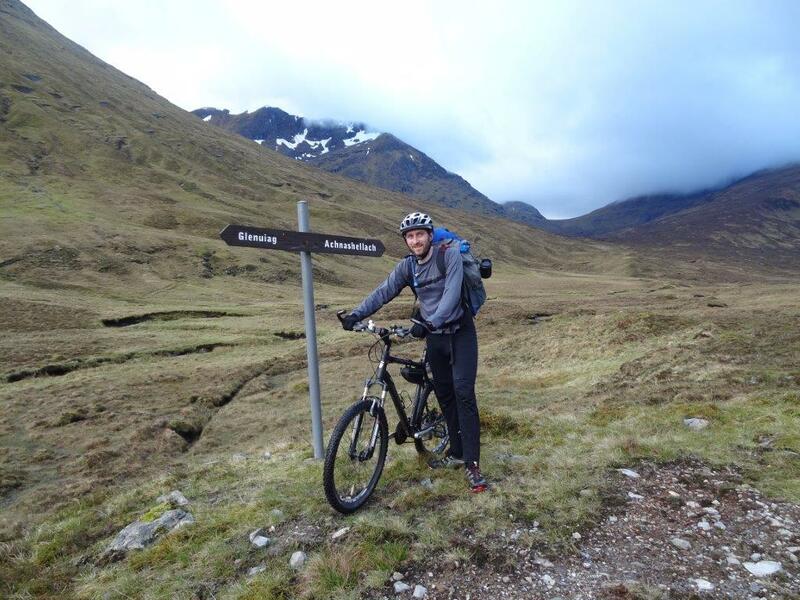 It took me around 4 hours, 42 minutes to complete the Etape – not bad considering we’d guessed at around 4.45 on the application! 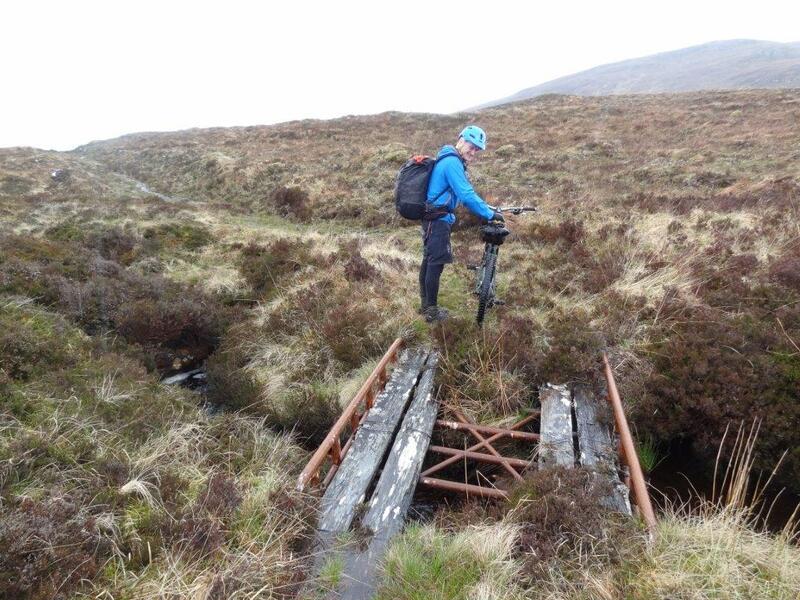 In the depths of the mountains, the mountain bike circuit which began at Craig, near Achnashellach, took a little longer. 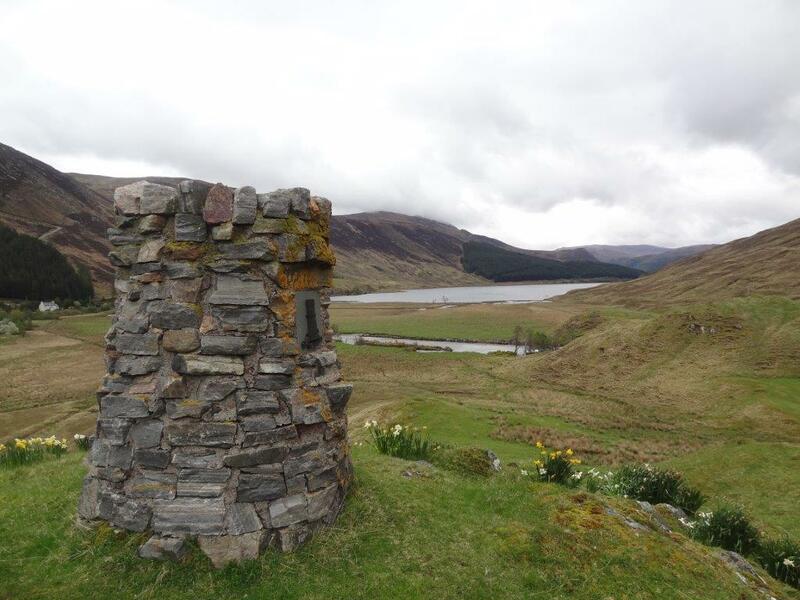 In fact, our first day took us six miles from the car park to a bothy at Glenuaig. 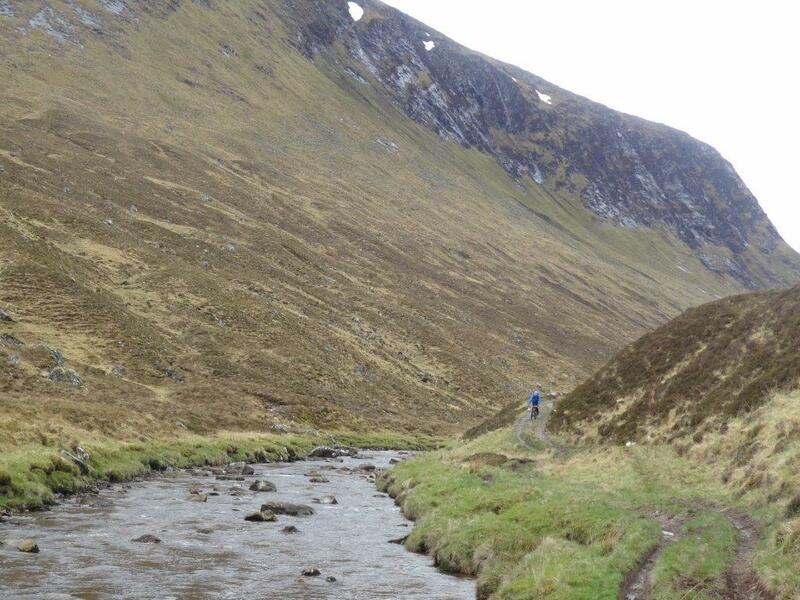 We started in the evening after work, passing the new hydro scheme and following the track steeply up into Gleann Fhiodhaig. 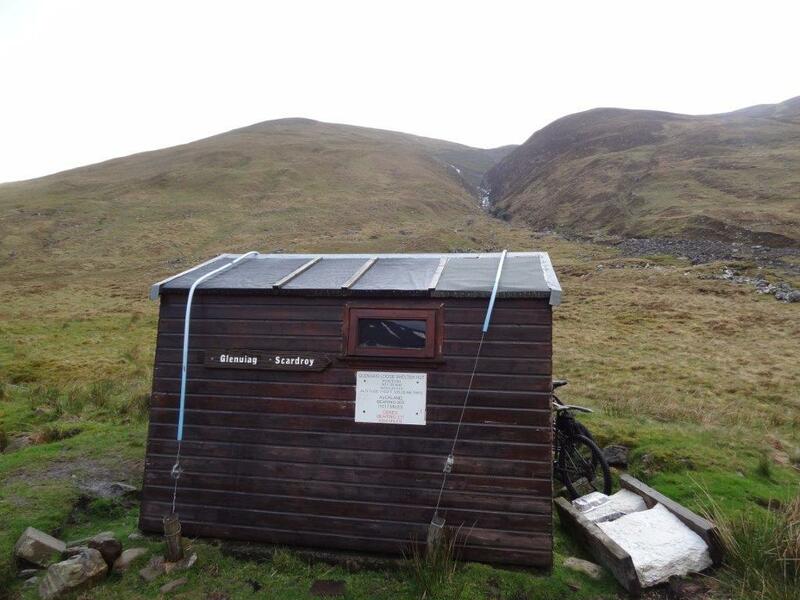 We arrived at the tiny shelter – basically a wooden shed which has two beds in bunks and little room for anything else! Unfortunately for the two of us, there was already one person there when we arrived. 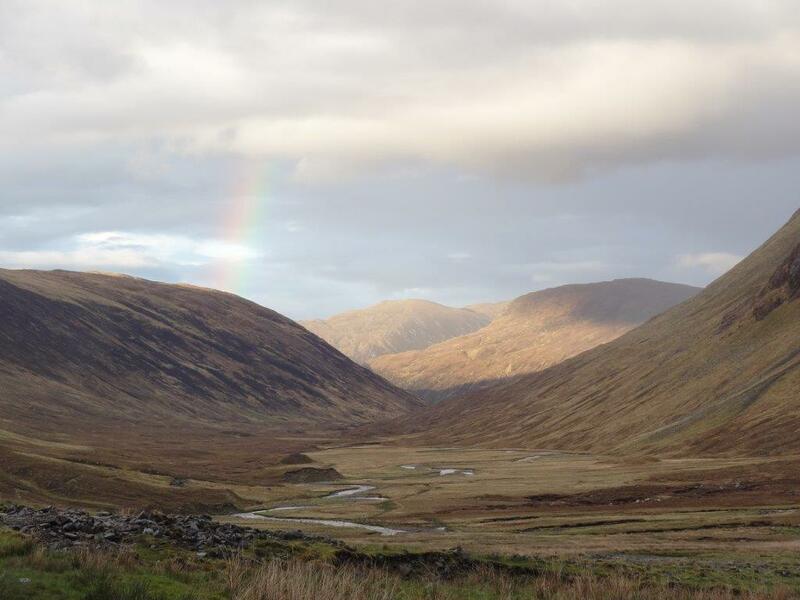 We had only just realised it was the start of the TGO Challenge, so the glen was alive with backpackers. We weren’t carrying a tent, so it could have been worse – we could have ended up sleeping out in the open with just a bivvy bag and whatever we could find for shelter. As it was, Jim took the floor and I got the benefit of the top bunk. 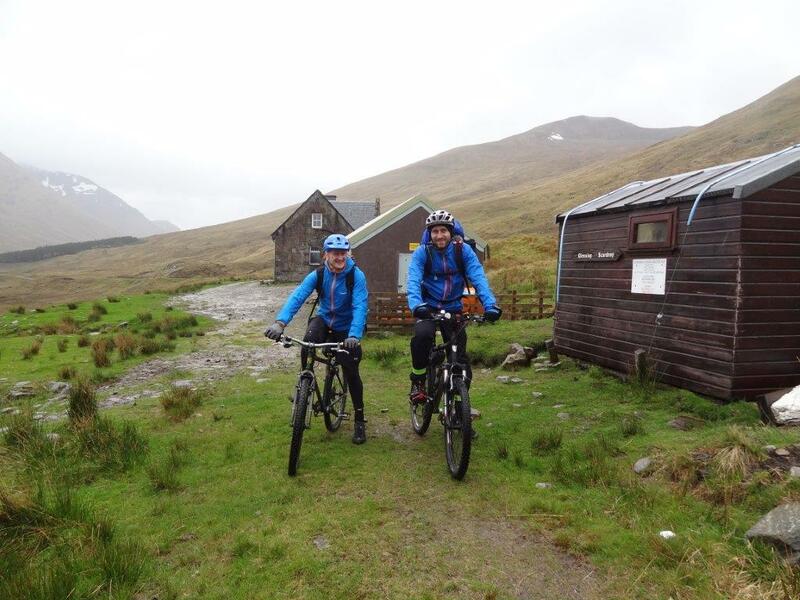 After a good night’s sleep we awoke to a dreich day, which was sure to make the ground conditions even more difficult for cycling. 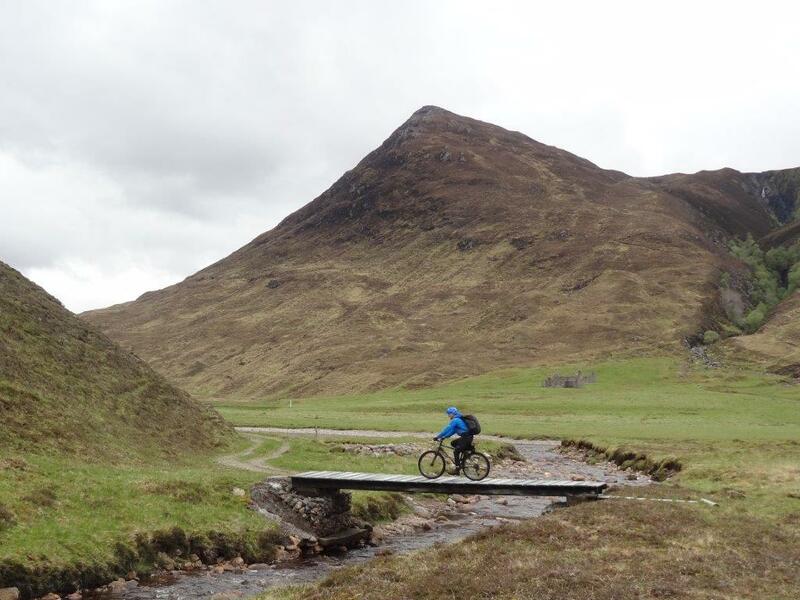 This was no free-flowing ride like the Etape – we were on and off the bikes, taking any reasonable opportunity to conserve energy and enjoying the sections where we could cover even a short bit of distance on two wheels. 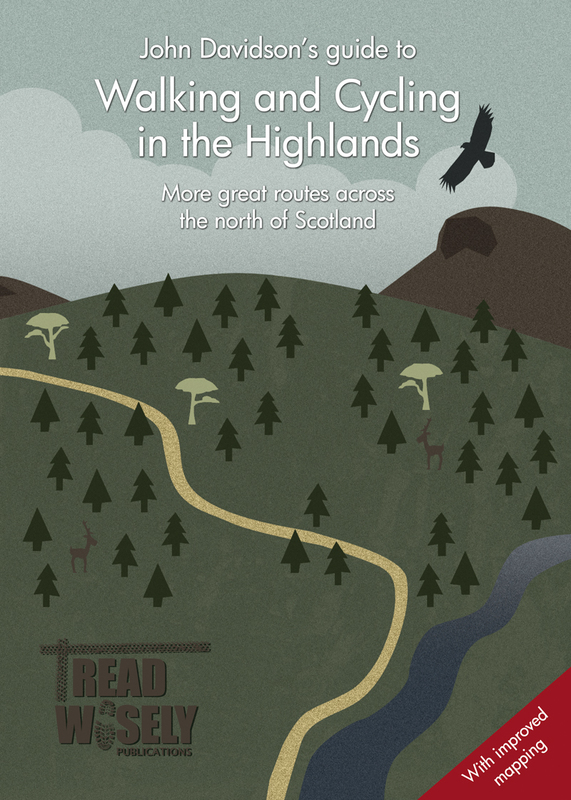 The contrast made us appreciate the good parts and, as we approached Scardroy at the head of Strathconon, a 4×4 track (the joys!) led us down alongside a beautiful burn and then over a bridge towards the road-end. 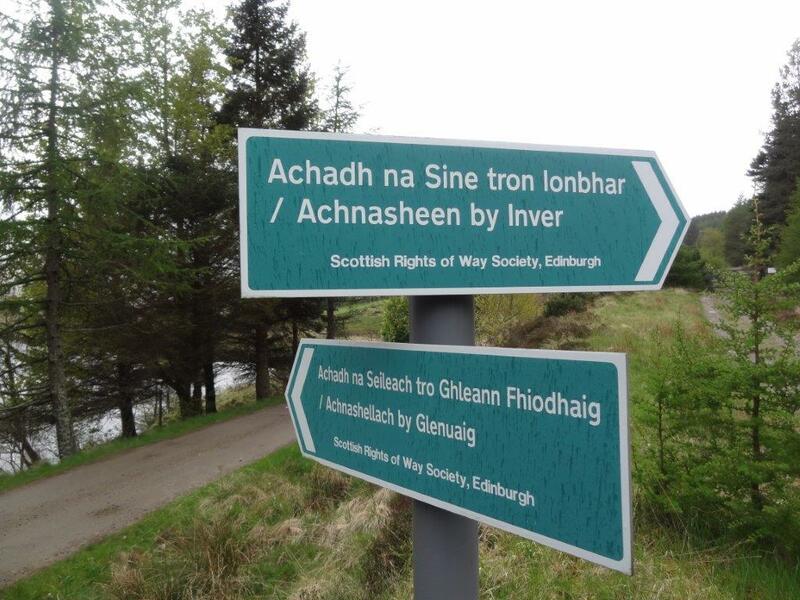 We turned back up through the forest, though, following the rights of way sign to Achnasheen via Inver. 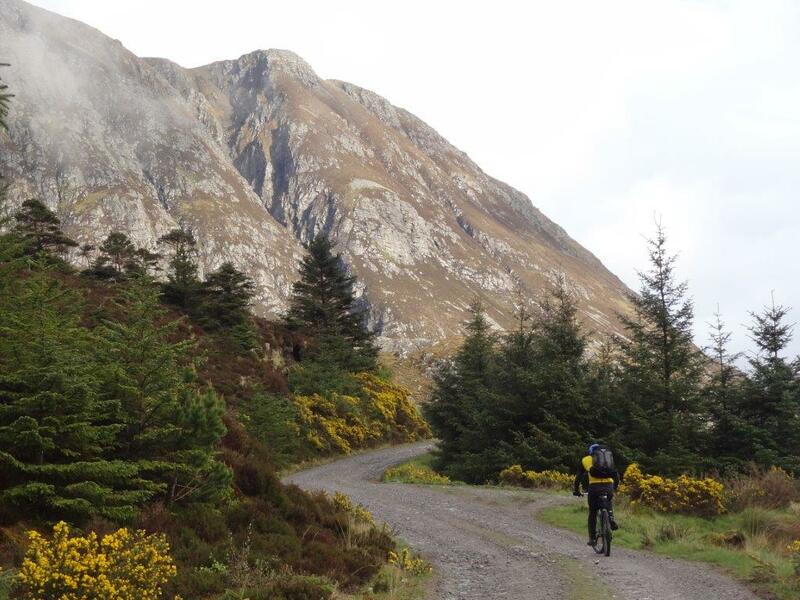 It was a long, hard climb up the forest track but at least we were able to pedal all the way. As we came out onto the open hillside Jim was determined to push on the summit of the climb at around 400m above sea level, so we kept turning the cranks and eventually made it. 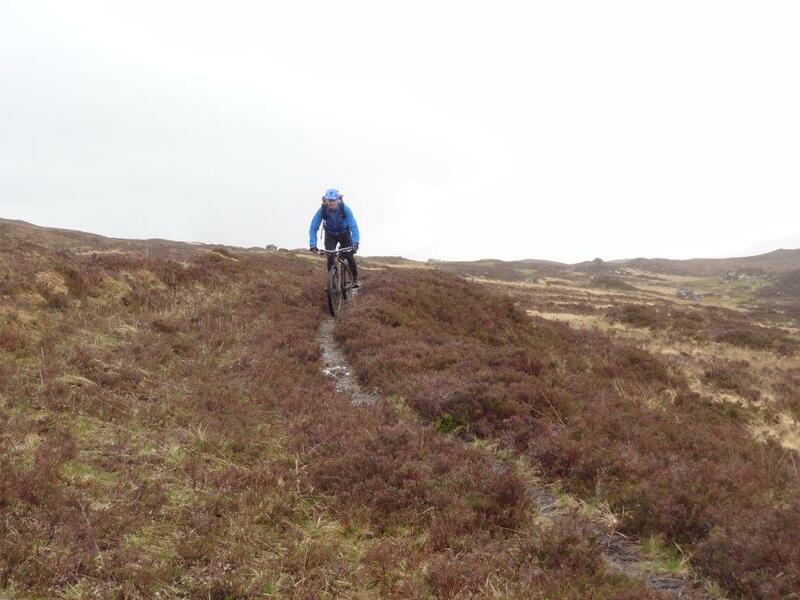 The surface from here would deteriorate but we managed to ride a surprising amount of it, despite the soggy conditions. 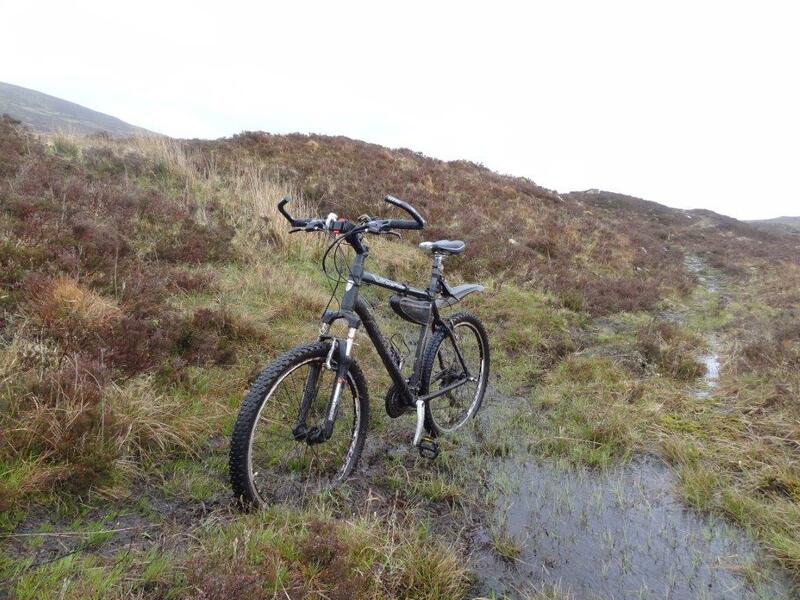 Our brakes were wearing thin and at one point I took a wrong line through the bog and ended up toppling over the handlebars – thankfully a controlled landing meant no damage was done, to me or the bike! 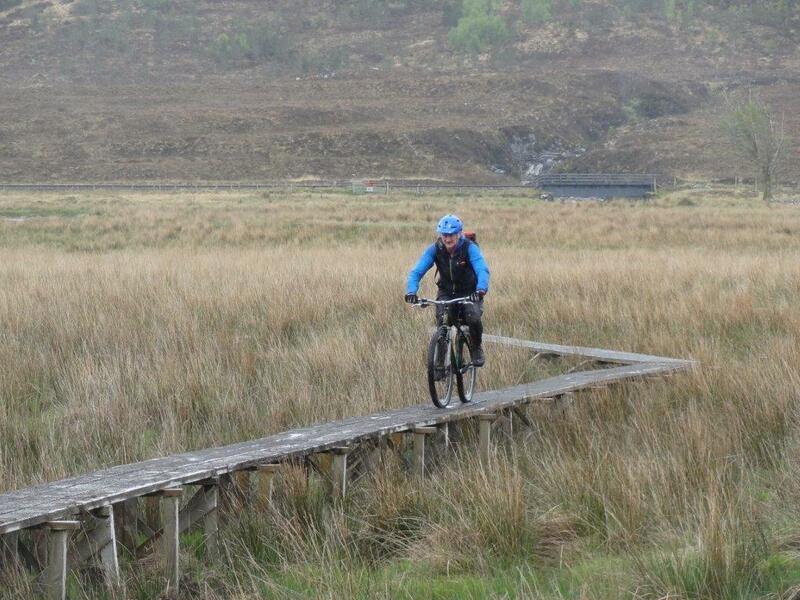 After passing the railway line a grass section then boardwalk leads to the road a few kilometres south of Achnasheen. The narrow boardwalk was pretty nerve-wracking but we made it over the bridge and carried our bikes up the steps after a fantastic off-road experience. 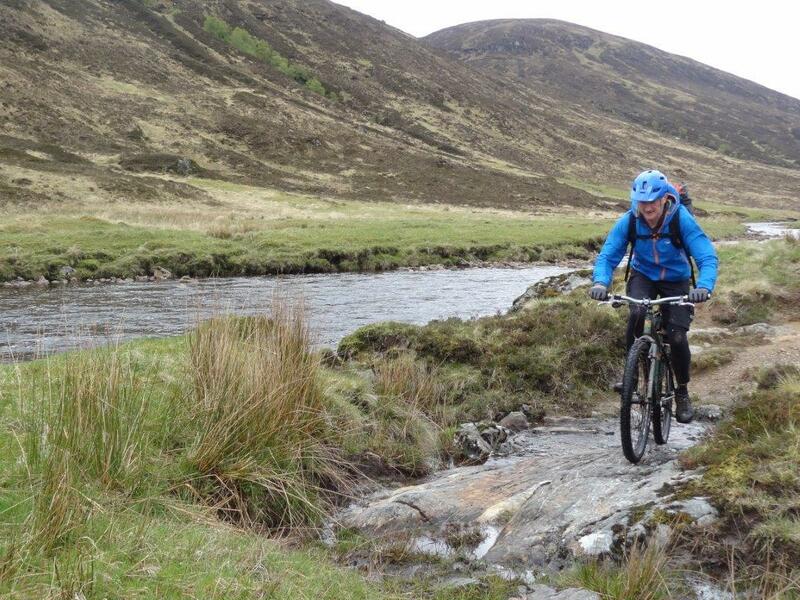 The return to Craig was an easy road ride along the beautiful Glen Carron and we ended on a high after a real Highland mountain bike experience. I’ll add more pictures to this gallery (and maybe one or two snippets of video) once Jim and I have exchanged them all!